From the hit Disney game series Kingdom Hearts, this duo of rivals is teaming up to join your Funko collection! 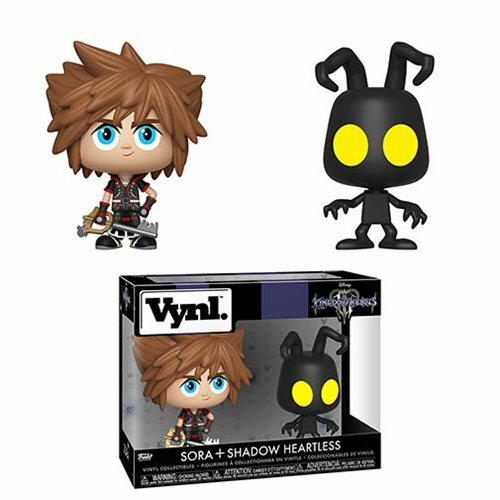 This Kingdom Hearts 3 Sora and Heartless Vynl. Figure 2-Pack is perfect for fans of the game series. Packaged in a window display box, each figure measures approximately 3 3/4-inches tall. Ages 3 and up.